Special, elegant, extraordinary.....nope, still not enough to describe this. A true treasure for your mom!! I'm in awe! OH so fantastic!!! Truly a card to celebrate ANY occasion, but perfect for a silver anniversary! The black/white stripe from MFT really needs to come live with me, too! But then how could I not want that marble-ous background stamp as well? Such a WOW card! I love all of the shimmer and shine, and those perfect little roses are amazing. Your mother will love this elegant, festive card, I just know it! How could she not? It looks spectacular with the shimmery background, the pretty roses, and the touches of silver! Love it! So glam....so elegant.....so gorgeous....and I bet your mom peeked! So do you think your mum listened?! This card is just gorgeous!!! I mean, so gorgeous! All that silver and those little leaves and the sweet flowers! Wow. Your mum is going to love it!!! She didn't peek, did she? Oh, how could she resist, this is so gorgeous! What could be more elegant than swirls of Perfect Pearls! I love the silver and roses combination! 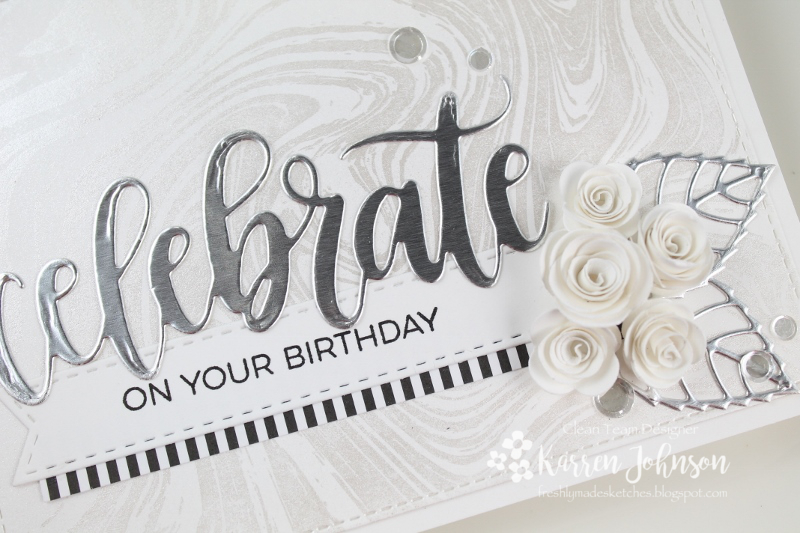 Wonderful card, Karren! WOW!!! Your Mum is so lucky to get this for her birthday. Did she read the post all the way through, I wonder? A long time ago, in a universe far, far away I used Perfect Pearls. 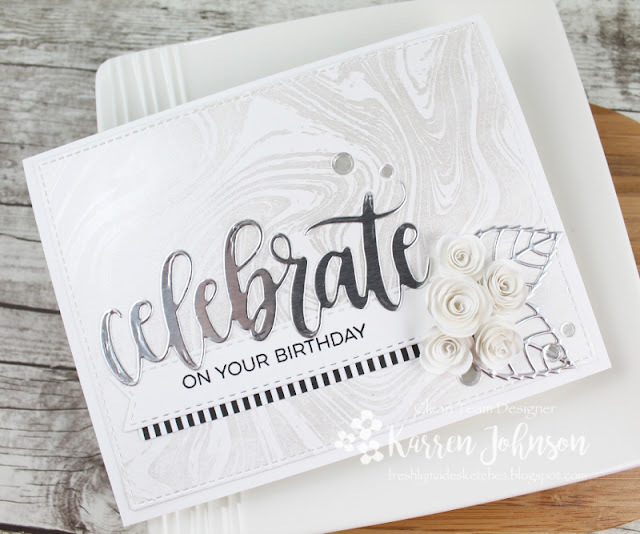 The jist of it was that I stamped a background in white pigment then dusted the Perfect Pearls over it with a stipple brush to get a lovely irridescent look. To set it, I spritzed it with hairspray! 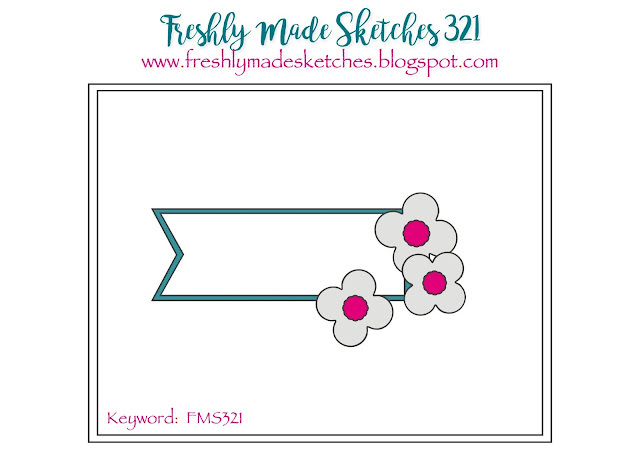 That was a card I made at a Stampin' Up! workshop I attended many years ago. Incidentally the card was for Mother's Day so maybe Perfect Pearls and mothers go together??? Gasp! This is such an elegant and stunning creation, Karren! I love the effect of the Perfect Pearls on the marble background and your white roses are the perfect touch with your silver leaves and sentiment...WOW! As always, you've done an amazing job pairing all of these MFT goodies...you've done them proud!!! Um....total wow card and one of the most elegant cards I have ever seen! It is truly beautiful!!! Wow! What an elegant take on the sketch, Karren! 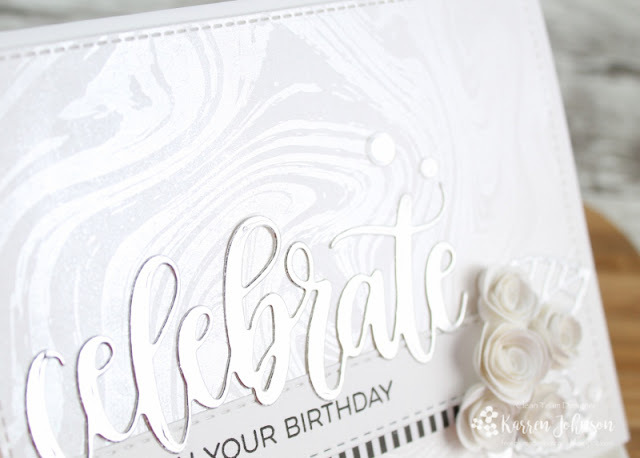 The touches of silver and the gorgeous roses on this almost all white card look fabulous! This is definitely a special card for someone special!